Come and join us for a fun morning of activities and try out some of our great toys and equipment. Everyone is welcome including Mum’s, Dad’s, Grandparent’s and Family Day Care Provider’s. Come along to Armadale Primary School Playgroup’s first session of term 2 for a fun Teddy Bear’s Picnic, play and information session. 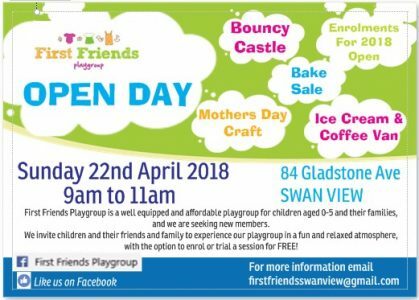 They are looking to greet new members so bring a friend and hear about how they can keep this great playgroup going at Armadale Primary School! Playgroup is for children 0-5 years old and their caregivers. At playgroup you can have lots of fun playing with your child, meet other parents and familiarise your child with the school environment ready for future school years.